Charles has been working quite long hours at his bosses’ house and he has been eating a few meals with their family. He came home the other day and asked if I could make one of my felt flowers for their little girl who is only a few months younger than Addison. I’m always happy to make them, I just adore seeing them on little ones and know that people cerish hand made crafts. 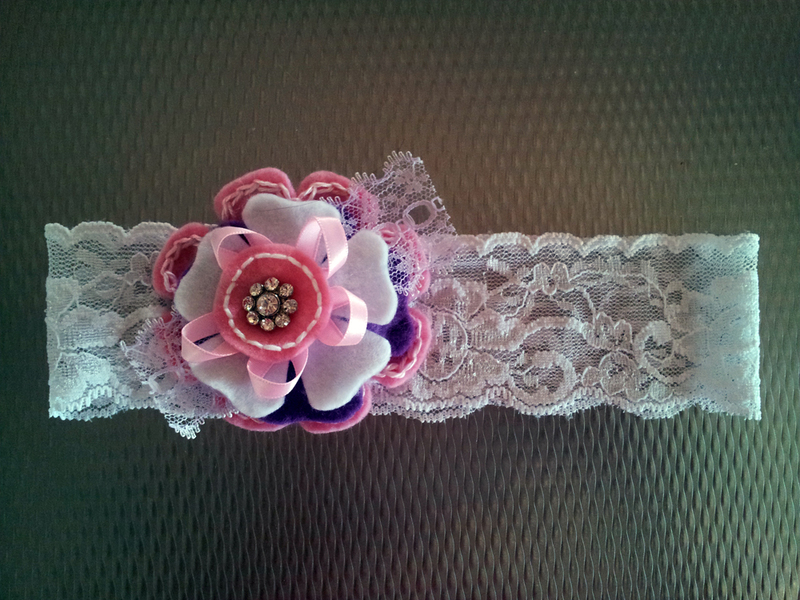 Here is the finished felt and button flower headband that I made, I think it looks really pretty :). She loved it and asked if I could make her some more for both her girls! I acually came up with a cute project that I could even make for Squiggle using felt. I’m thinking of making her youngest a felt owl wrist rattle. Hers I would put a flower or two on, but obviously for Squig, being a little boy I wouldn’t worry about the flowers!